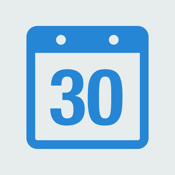 30DAYS gives you 30 day training programmes to follow. 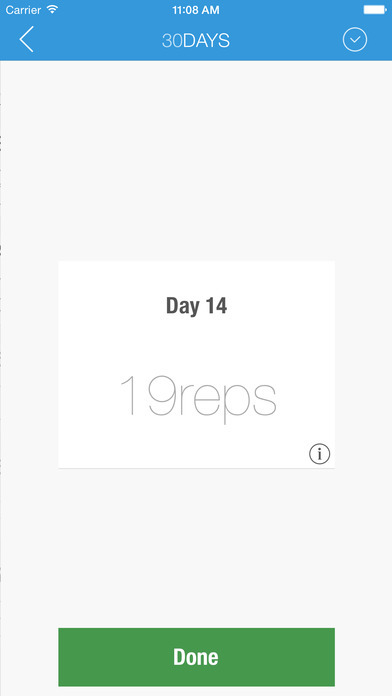 30DAYS tailors the workouts to your fitness level. On day 1 you do as many / long of the exercise as you can, then 30DAYS works out a training plan for you. At any point you can change the intensity level. If it's getting too hard make is easier, if it's too easy make it harder. 30DAYS can remind you the following day to do your workout, keeping you on target. 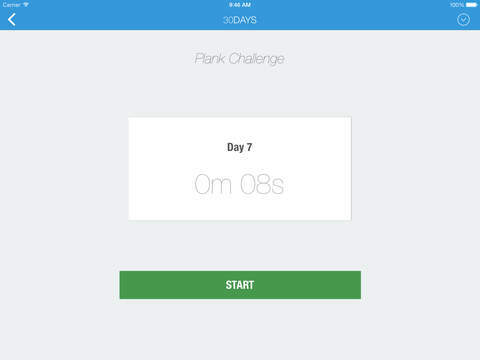 30 DAYS is integrated with Facebook so you can share your achievements with your friends and get encouragement. 30DAYS will continue to add workouts, so there will always be a workout for you.